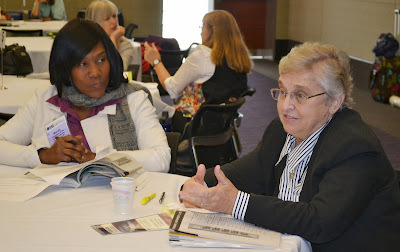 Some APHA Annual Meeting sessions take a more interactive approach to sharing best practices, such as this Monday morning session of roundtable discussions on complementary, alternative and integrative health practices. 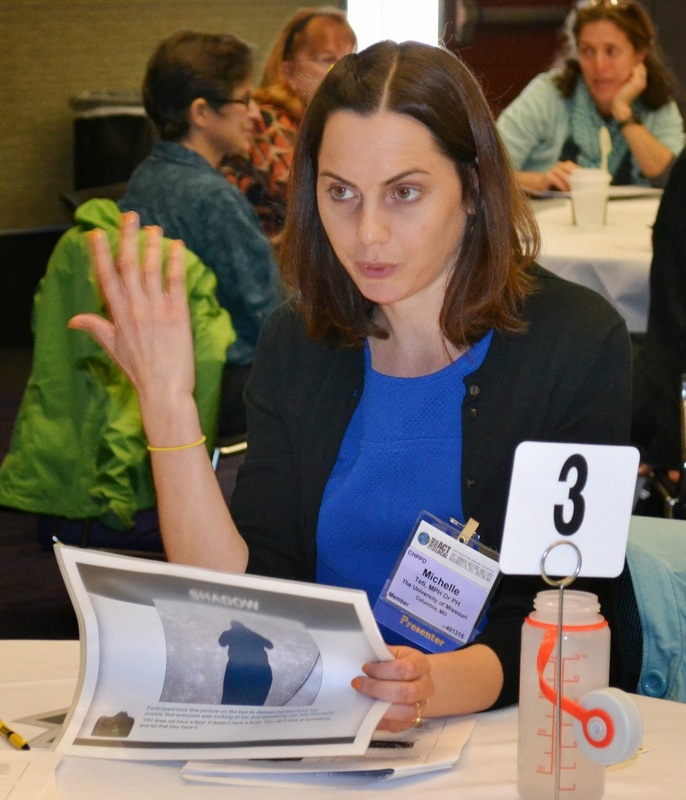 Above from top to bottom: HIV researcher Michelle Teti, with the University of Missouri, discusses how to use the concept of “photovoice” — taking photos to express yourself and share ideas — to improve the quality of life among people living with HIV. Wendy Thompson, of Andrews University in Berrien Springs, Mich., on the left, and Sister Rose Carmel Scalone, with LaSalle University in Philadelphia, participate in one of the session’s roundtables. 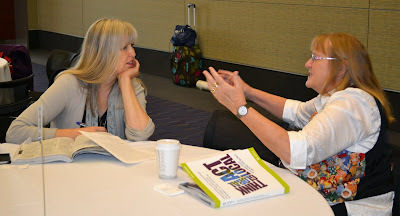 And Kathleen Miller, with the Benson-Henry Institute for Mind Body Science at Massachusetts General Hospital, on the left, said she was fascinated by her discussion with Marlene Wilken, with Creighton University, about using American Indian talking circles for diabetes self-management.